The dynamics of Northeast Asia have traditionally been considered primarily in military and hard security terms or alternatively along their economic dimensions. This book argues that relations among the states of Northeast Asia are far more comprehensible when the mutually shaping interactions between economics and security are considered simultaneously. It examines these interactions and some of the key empirical questions they pose, the answers to which have important lessons for international relations beyond Northeast Asia. Contributors to this volume analyze how the states of the region define their ‘security’, and how bilateral relations in hard security issues and economic linkages play out among Japan, China and the two Koreas. Further, the chapters interrogate how different patterns of techno-nationalist development affect regional security ties, and the extent to which closer economic connections enhance or detract from a nation’s self-perceived security. The book concludes by discussing scenarios for the future and the conditions that will shape relations between economics and security in the region. 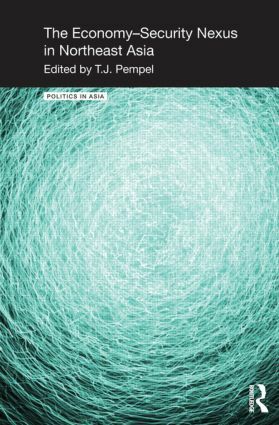 This book will be welcomed by students and scholars of Asian politics, Asian economics, security studies and political economy. T.J. Pempel is Professor and Forcey Chair of Political Science for the Study of East Asian Politics at the University of California, Berkeley, USA.